The Finance Ministry said today it had increased the upper limit to Rs.1.5 million for senior citizens fixed deposits at the interest rate of 15% per annum from March 1. The previous limit qualifying for this special interest rate at Commercial and licensed Specialized were fixed deposits up to Rs.1 million. The ministry said in a statement that on the instruction of Finance Minister Ravi Karunanayake, Treasury Secretary R.H.S. Samaratunga had informed the Central Bank to notify all banks that the previous circular in this regard had been amended. The present Government, under its 100-day programme, in the Budget - 2015 for the first time introduced a 15% special interest scheme for senior citizens’ fixed deposits up to one million rupees maintained by senior citizens over the age of 60 years. Accordingly, the Government pays the difference between the 15% and the market standard interest rate offered by commercial banks. Treasury has incurred Rs.13,000 million for this purpose in 2016. As a result of this offer to senior citizens, the number of fixed deposits by senior citizens rose to 450,000 in 2016 from 91,000 in 2015. 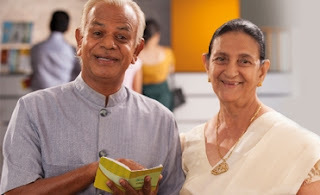 The number of fixed deposits maintained by senior citizens is reported to have risen today to 500,000 since the Minister Ravi Karunanayake announced the continuation of the senior citizens deposits scheme which guarantees an interest of 15 percent for deposits with the increase of the upper limit up to Rs 1.5 million. Director General of Department of Development Finance said that with the increase of the upper limit, Treasury has to spend Rs.18,000 million to pay the 15% interest during this year. Meanwhile, Finance Minister Ravi Karunanayake said that this Government introduced various facilities to assist senior citizens after 2015 as the ageing population is on the increase in the island.